Legendary Hayabusa Fight Wear Offers LARGE discount on Gym Backpack/bags! Get it now before it's too late! You are here: Home » News » Legendary Hayabusa Fight Wear Offers LARGE discount on Gym Backpack/bags! Get it now before it’s too late! Legendary Hayabusa Fight Wear Offers LARGE discount on Gym Backpack/bags! Get it now before it’s too late! 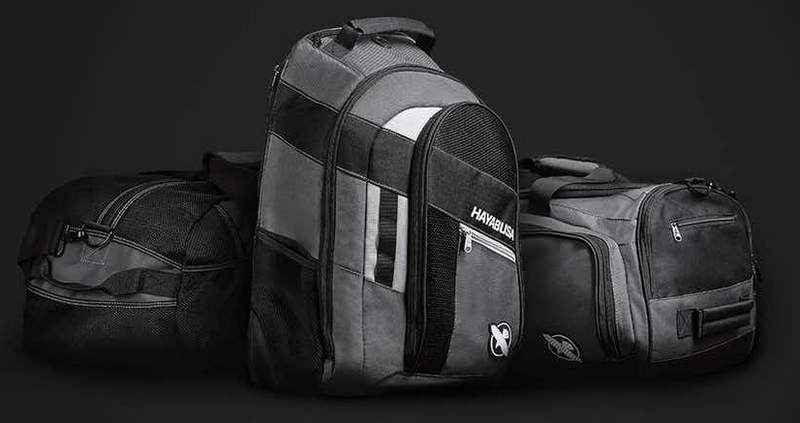 The Legendary Hayabusa Fightwear brand is offering LARGE discounts on it’s Backpack and Gym Bag products. Be the one to stand out when you walk into your next class with these stylish, well-built large compartment bags that will surely hold all of your training gear and some. This backpack was able to fit everything needed for training, including our Hayabusa gloves, shinguards, mouth protection and a change of clothes. The material is tough and durable to withstand being tossed into the back of the trunk and pulled out of day by day. Not only is it good for the gym, it is also ideal as a travel companion. One of our staff members uses it for her monthly road trips from Toronto to Montreal, and she is able to fit everything she needs from her grooming supplies, cell phone charger and backup external battery pack, multiple changes of clothes etc. For those wondering, yes, it is VERY snug on your back and it fits so much nicer than any other backpack we have tried. CLICK HERE TO PURCHASE THESE NOW! MMACanada.net staff got some great use out of this mesh bag. Whether your at the gym, or playing your favourite sport, it holds EVERYTHING and more! One of our staff members used this bag to carry his soccer equipment and accessories and it served very well. Lots of people looked from the corner of their eye when they see that legendary flying Hayabusa logo! The material is super thick and durable yet light, the colors are on point, VERY easy to clean and offers ample storage. This is also a great bag for those looking to go on a longer road trip.